Before the holidays there was endless advice about setting a budget and sticking to a shopping list. Those who ignored the wisdom shared by experts will be in for a shock when credit card and bank statements arrive in the mail. 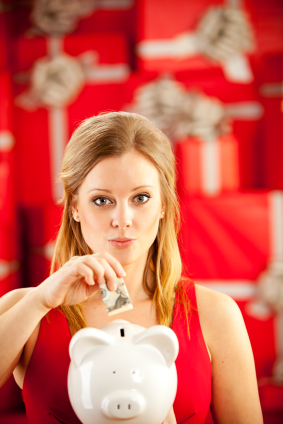 According to a Consumer Reports poll, six percent of us are still paying off holiday debts from 2010. That means any new purchases racked up over the past holiday season will inflate those interest charges and make paying down the old and new balances more difficult and expensive. Multiply your credit card minimum payments two or three times to reduce the amount of interest you'll end up paying. Merely meeting the minimum means you'll never see bottom. Talk to your credit card company about negotiating a better rate on interest, fees and other expenses. If your interest rate is above 15 percent and they won't negotiate, it may be time to transfer much of the balance to a lower-cost card. Just make sure you pay off the debt before the interest rate climbs again. Stick those credit cards in the freezer, if you have to, but do what it takes to avoid impulse shopping sprees. Better yet, give them to a trusted friend or family member for safekeeping. Using coupons for necessary purchases not only saves you money, but the practice helps you make more educated purchasing decisions. You can find online and printable coupons for thousands of stores on CouponSherpa.com, or download their mobile app for instant access to coupons while you shop. There's something about parting with greenbacks that makes us less likely to spend. Keep a budgeted amount on hand and stay away from the cards. Using the envelope system is expecially helpful in tracking your cash spending while working toward financial goals. You've had your fun during the holidays; now it's time to get serious. Cut out the restaurants, nail salon and triple shot mocha latte until the bills are under control. Of course, too strict of an economic diet is as easy to break as a weight-loss regimen. So figure in an occasional, small splurge to keep you going. Don't try to do everything at once. If paying off credit cards in three months means going hungry, you're biting off more than you can chew. Set smaller, obtainable goals and you'll appreciate the final results more. For those with multiple credit cards with high balances, try paying down one card at a time to feel that sense of accomplishment needed to push on to the next goal. If you're barely treading financial water, it's time to get some assistance. A professional financial planner can help you establish a reasonable plan that won't leave you paying off debts until next Christmas. You can find a qualified guide through the Certified Financial Planner Board of Standards website or you might check for non-profit assistance. Guest article from Andrea Woroch who is a consumer and money-saving expert who has been featured among top news outlets such as Good Morning America, NBC's Today, MSNBC, New York Times, Kiplinger Personal Finance, CNNMoney and many more. Gooseberry Patch has the best cookbooks ever. 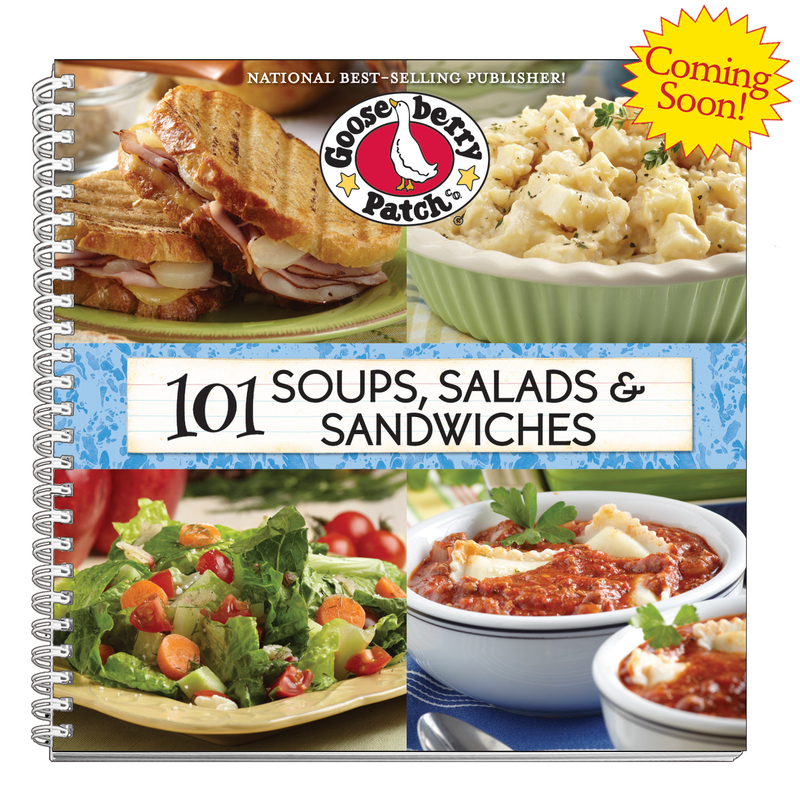 Check out their newest, 101 Soups, Salads & Sandwiches for new, tasty recipes. Guess what? One of my tasty recipes made it in an up and coming Gooseberry Patch Cookbook. (Yes, I'll autograph your cookbook...haha) Since I"m one of their Early Reviewers, I was sent a copy of the cookbook to review and offer a copy for one of my readers as a giveaway. 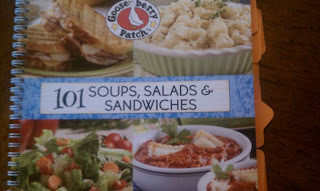 They cookbook is the one above, 101 Soups, Salads & Sandwiches. It has a release dat of January 1, 2012. Click here to get more information. 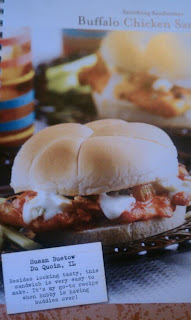 As you can see by the above photo, I marked all the recipes that I immediately wanted to try. I do this with every cookbook that I look through. I always have a package of stick notes ready to go! Here are the chapters in this book along with some of the recipes that caught my attention right away. We are huge soups eaters fall through winter. So I had to restrain myself from listing every soup in the book. Flatten chicken breast to 1/4 inch thin between pieces of wax paper; set aside. In a skillet over med-low heat, saute onions & celery in oil until tender. In a shallow bowl, combine flour and seasoning salt. Dredge chicken pieces in flour mixture. Add chicken on top of onion mixture in pan. Cook for 5 minutes; flip chicken and cook an additional 5 minutes. Add buffalo wing sauce to pan. Cover; increase heat to medium, and cook 5-7 minutes, until chicken juices run clear. Serve on buns; garnish as desired. Makes 6 sandwiches. In a Dutch oven, cook beef over medium heat until no longer pink; drain. Stir in tomatoes with juice, tomato paste, water, onion, garlic, seasonings and sugar. Bring to a boil. Reduce heat; cover & simmer for 30 minutes. Meanwhile, cook ravioli as package directs; drain. 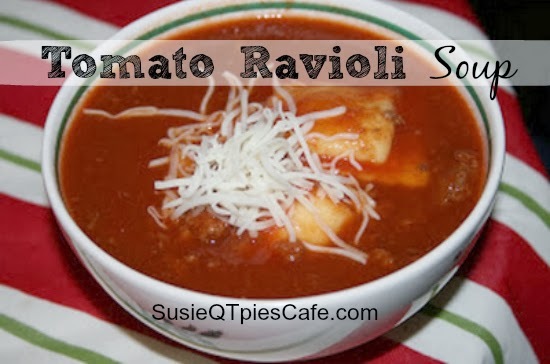 Add ravioli to soup and heat through. Stir in Parmesan cheese; serve immediately. Makes 6-8 servings. Kitchen Notes: You can use any meat. I didn't cook the ravioli separate. After I simmered the soup for 20 minutes I added in the ravioli for the last 10 minutes of the simmer. It worked great and saved on dishes! 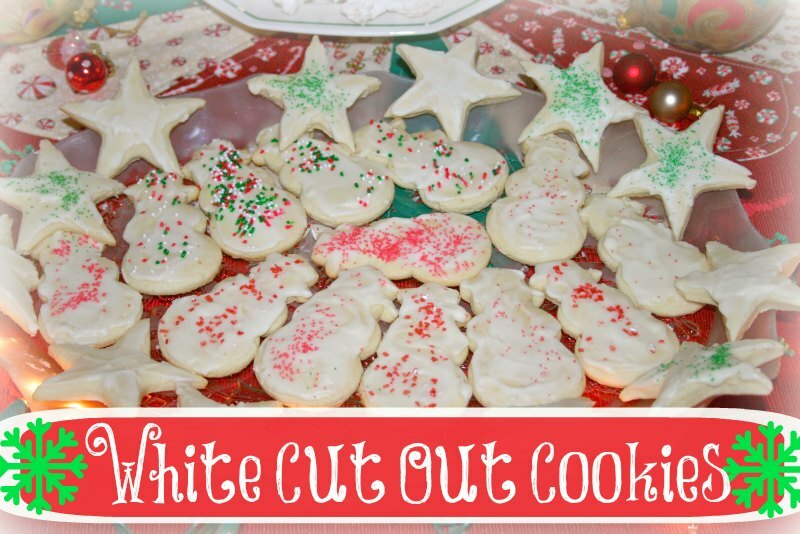 This cut out cookie recipe is well over 60 years old. My husband's Nonnie made these cookies for her boys when they were kids. These get made at Thanksgiving, Christmas, Easter, Valentines day, etc. Cream together sugar and shortening. Slowly add egg yolks and rest of wet ingredients. Continue to cream well. Combine dry ingredients and slowly add in flour. Once mixed, separate dough into 2 or more pieces. Plastic wrap each section and refrigerate overnight or at least 6 hours. Roll out 1 section at a time on a lightly floured surface and rolling pin. The dough rolls best when cold. I usually roll out 1/4 inch thick. Cut out with shapes and bake 5-8 min. in 350 oven. The cookies should be firm yet white on top. The bottom will be light tan. *I have another recipe that goes along with this to use the 4 egg whites. I'll post that later. In mixing bowl add crisco, egg, vanilla, salt and small amount of hot water. Slowly add in powdered sugar and then water to make it a frosting consistency. 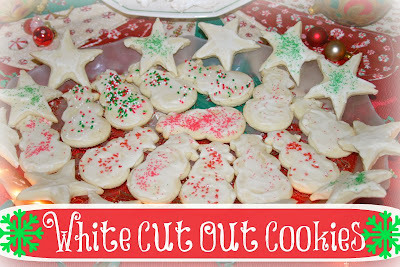 Use on cookies and decorate with sprinkles. Let dry before storing. I use parchment paper in between layers. 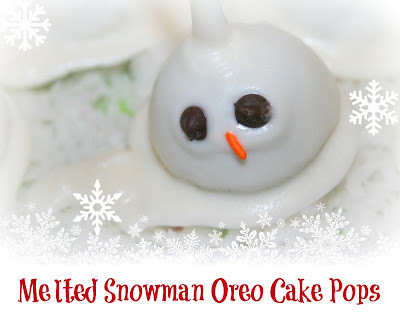 Super easy holiday treat! 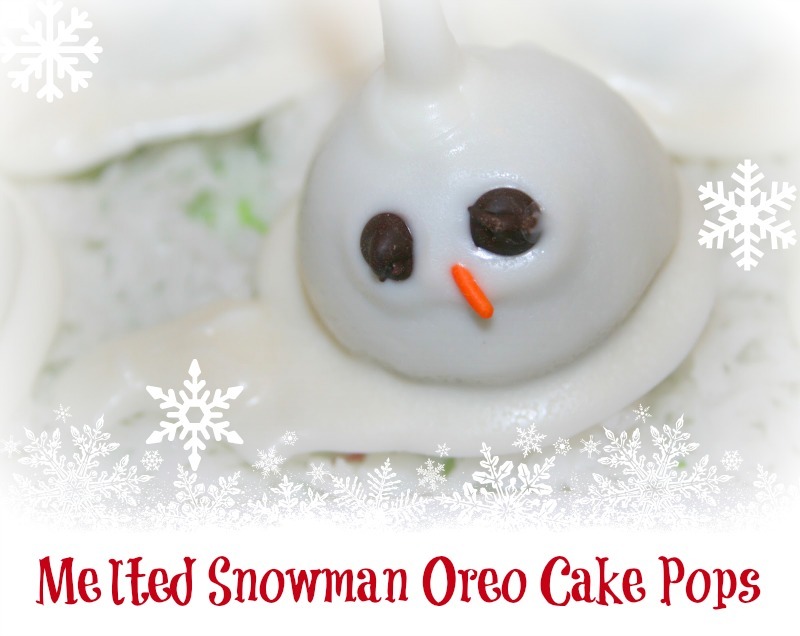 Make these no bake Snowman Oreo Cake pops with your kids. They will become a new family tradition. 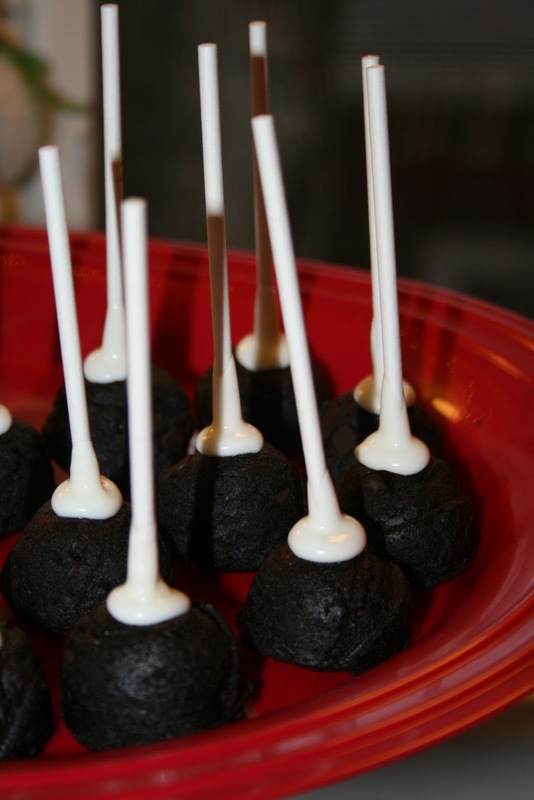 For over 2 years now, my oreo cake balls have been in the top 10 most viewed post on my blog. Someone said that the cake balls look like a snowman so I decided to make it really look like one. I added eyes and a nose. Since doing these I've seen them everywhere. They are super easy to make. 3/4-1 pkg cream cheese, soften to room temp. 1) Finely crush the entire package of Oreos. Add in the 1 cup of mini chocolate chips. 2) Drop in 3/4 of the cream cheese brick and mix well. The mixing does best if you put on disposable kitchen gloves and mix with your hands or a stand mixer. If you don't feel that the mixture is wet enough, use more cream cheese. The first time I made these I used all the cream cheese. I feel the best texture is to use only 3/4 of the brick. These need to roll up into balls. 3) Form into equal bite-sized shaped balls. I use a small cookie dough scoop. It doesn't matter if these have a flat bottom. Put them on a cookie sheet or container that will fit in your freezer. You might need to use 2 containers. If you want to skip the freezer step then at least put them in the fridge so they chill and don't fall apart when you dip them. 4) Freeze for 1-2 hours before dipping in melted chocolate. 5) Dip a cake pop stick into melted chocolate, approx. 1 inch and then stick it into the cake ball. This helps the stick stay in. 6) Melt chocolate in the microwave or in a little electric melting pot. I only melt 1/2 package at a time if I use the microwave. If I use a melting pot then I do the entire package. 7) If the chocolate doesn't seem thin enough, you can add 1-2 teaspoons of oil. 8) Dip one cake pop at a time. To make a puddle of "melted snowman" don't tap off the chocolate once it is dipped. Let it drip on a parchment lined pan and then place the cake pop down on top of the melted chocolate. Don't remove it until the chocolate has harden and no longer shiny. 9) After about 1 minute, add on the eyes and nose. I put mine in different spots. I put mine on a tray of coconut for serving. Here are a few photos. If you have any questions on these, don't hesitate to ask. 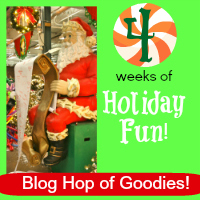 Link up in the Holiday Blog hop. Share anything related to the holidays! I LOVE the "The Everything....book" series. This one is FREE right now on NOOK. Click to get it. As always, make sure it is FREE or the price you want it before you click buy. The free books do not last long. 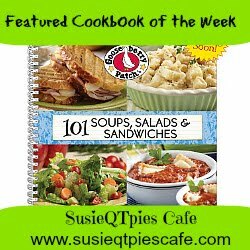 This book contains stories, songs, recipes, crafts, traditions and more! Enjoy. Looking for more Holiday Tips, Crafts & Recipes? Click the below picture. Here is another one of my Christmas Open House treats. I threw this together on the last day because I had leftover chex mix, gingerbread marshmallows & chocolate bark. Hope you like it. It was a huge hit at my party. Once melted, add in chex mix. Give it a good stir. 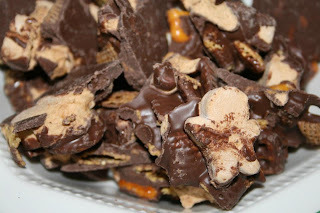 The pieces do not need to be totally covered in chocolate. Add in gingerbread and give it a few stirs. Pour out onto a parchment lined cookie sheet. Once cool, break about in chunks. Kitchen notes: Use any type of snack mix with this recipe. I had a huge bag of snack mix that was leftover and this was what I used. Try using different types of marshmallows and/or white almond bark. Have fun with it. Tis the season to eat cocktail meatballs and wieners. This is one of the items that will be served at my Christmas Open House. They are a HUGE hit and I always run out of them. No leftovers with this dish, drats! Every year I increase the amount by one pound of beef. So this year I'm up to 6 pounds for the meatballs and 2 pounds for the wieners. Let's see how far this take the crowd. This recipe is for 6 pounds of beef. Adjusted it according to how much you need to make. 1-Mix all the ingredients together by hand (except the sauce ingredients). I wear food prep gloves to do this. Do it quickly because you do not want to over work the meat. 2-Use a small cookie dough scoop and form your balls. I do this so that they are all the same size. You can freeze them until ready to use or add to crock pot. 3-This recipe uses 2 large crock pots. Divide up the sauce ingredients into the 2 crockpots. Add in meatballs. Let cook on high for 4 hours. About 1 hour before serving add in the wieners if you want them. That is enough time to get them warm. This particular recipe made 200 meatballs! YES that is a lot and YES they will all get eaten! Just recently I tried the Marzetti Otria Greek Yogurt Veggie dips on my family. The most difficult part about trying their dips was deciding which one to purchase first. Raise your hand if you are a dipper? Mine is up because I love a good dip. I love making dips and buying dips. My family is the same way. We like spicy, mild, cheesy, fruity, salty, sweet, chocolatey, salsa, sour cream, yogurt, hot, cold and more! So, yes, we are a dippy family. With that being said, I do like to find dips already made that can be easily served as a quick appetizer before dinner or a snack in the evening. I look for healthy dips that go well with a variety of veggies. My girls are really great veggie eaters with or without dip. I like to treat them to a dip that will spice up dinner time or have an easy to serve dip on hand when they are having a snack attack. We tried the Garden Herb as a dip and in a recipe. The dip was very thick, creamy and bursting full of flavor. I served it with sugar snap peas and brocoli. It was a huge hit. The other use for this dip was to mix it in a pasta recipe that I found on the Marzetti website. Sorry that I don't have a picture but will post it later for you to enjoy. pepper to taste. Salad is best served immediately after it is prepared. This was a very tasty, healthy recipe. The Otria Greek Yogurt Veggie dips seems to be lower in calories, carbs, sodium than some of the other store bought dips. It seems to be lower in fat if you stick with the serving size. We plan on trying all 5. The next veggie dip we are buying is the Cucumber Dill Feta and serve it with cucumbers and cauliflower. I will use it in a recipe, too. For this dip I plan on making a cold veggie pizza. You'll have to come back for that recipe! So do you dip? What is your favorite type of dip? 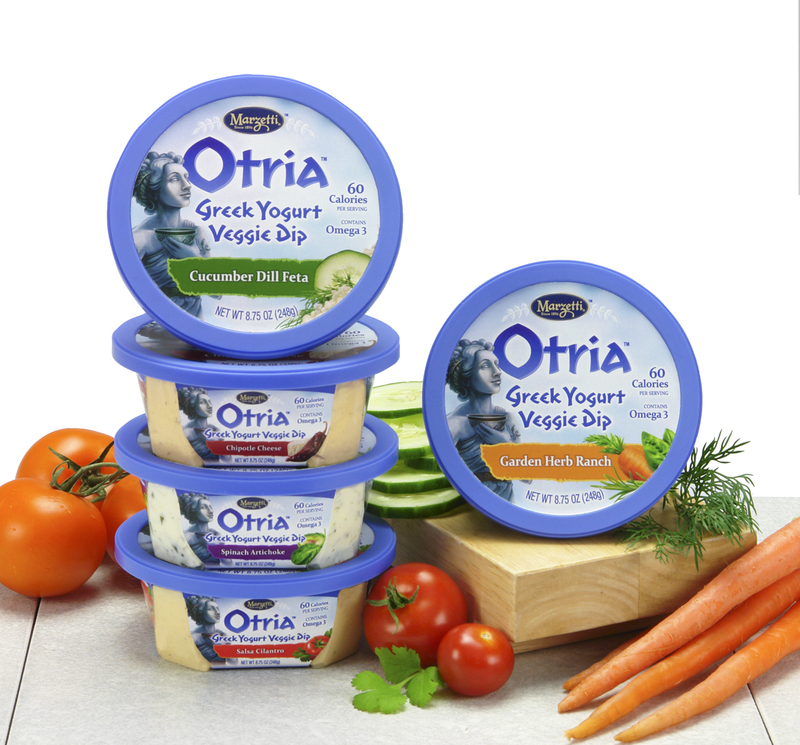 Have you ever tried the Otria Greek Yogurt Veggie dips? What did you think? These dips would be GREAT to buy and serve when friends come over this Holiday Season! Just grab some veggies, pita bread and baked chips and serve. I was one of the bloggers selected by T. Marzetti Company and Clever Girls Collective to host a Marzetti Otria Greek Yogurt Veggie Dip review. They provided me with product to test myself and compensation for my time. However, my opinions are entirely my own. 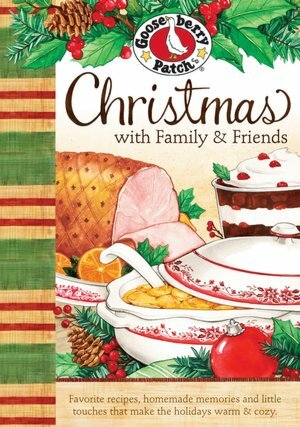 Free Gooseberry Patch full-sized Christmas cookbook! Cha-ching! Time to get another free Gooseberry Patch Cookbook! They have been giving away an ebook every week or so for a few months now. I love their books and I hope that you do, too! IF you aren't familiar with their books click on the link above to see all the books and recipes that I have right now on my blog. I'm also giving away a copy of their, soon-to-be released Rush Hour Recipes. So click to learn more and enter. Ok, on to the FREE book for all. Click here to get it on Kindle, Nook, iTunes, Sony ebook, and Kobo ebook. Before you click to buy make sure it is FREE or if it is the price you want to pay for it. Special thanks to Natalie Goulding of Wasilla, Alaska, who shared this recipes with us. She writes, "This is one of my favorite breakfast recipes for Christmas. I even prepare it the night before so while we are opening our gifts, it bakes in the oven. This way, I can enjoy what Santa brought to our home!" Layer hashbrowns, onions, cheese, ham and pepper in a greased 13"x9" baking pan. Whisk eggs with sour cream and milk. Pour mixture over layered ingredients. Bake, uncovered, at 400 degrees for 35 minutes. Remove from oven; cover with aluminum foil and return to oven for an additional 10 minutes. Serves 6 to 8. 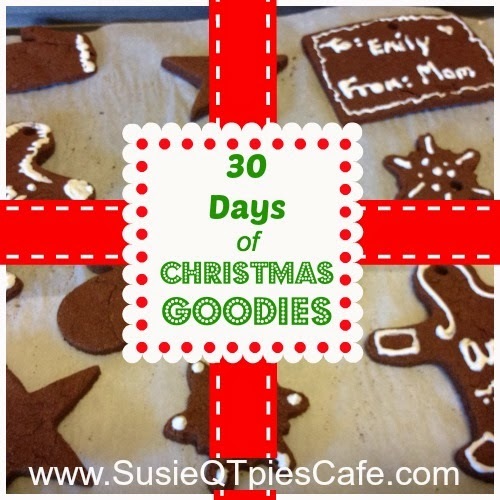 Link up your Holiday Tips, Crafts & Recipes! For every 50 link ups I will have a giveaway for those that link up. I will pull a number and that will be the winner. So enter as many links as you want. Please let others know about this, too! What will you get? Various prizes include gift cards, codes, coupons, candy, holiday goodies and more! Several times a week I will draw numbers for ideas posted and feature that blog. So again, link up so you can be featured. In return, I just ask that if you link up please consider following my blog, leaving a comment and making an effort to visit friends who link up! Check the tag for Holiday Tips, Crafts & Recipes to see more post. The link is set up to post the newest link on the top. That way all the wonderful Thanksgiving ideas are on the bottom and the fresh Christmas & New Year ideas are on top! This recipe is from Gooseberry Patch, Cookie Swap cookbook. I'm a huge Gooseberry Patch friend. 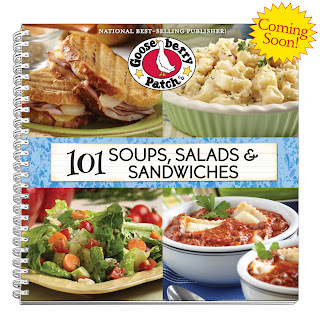 Click here at GOOSEBERRY PATCH, to find out about more of their cookbooks right here on my blog! Combine sugar, milk & butter in a heavy 3-quart saucepan; bring to a boil over med-heat, stirring constantly. Reduce heat to medium, heat and stir for 10 minutes. 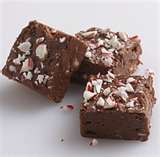 Remove from heat; add chocolate chips, marshmallow creme and peppermint extract. Stir until chocolate and creme are melted and mixture is smooth; pour into a buttered aluminum foil-lined 13 x 9 baking pan. Sprinkle with candies; cover and refrigerate until set. Cut into squares to serve. Makes 5-6 dozen. I'm not joking when I tell you that this is one of the EASIEST Christmas treats that I make for my Christmas Open House. It takes all but 10 minutes to make. Do you have any favorite, quick holiday recipes? Feel free to share with us! Melt bark in microwave according to the directions on package. Add in pretzels and M&Ms, stir and pour out onto a 11X17 pan. Put in cool place until it hardens. Break into pieces and eat! Check out my Hot Chocolate Bark and Chocolate Peppermint Patty Bark. In large bowl, stir together flour, cocoa, salt, b.powder and b. soda. In another bowl, beat together margarine & sugar until fluffy. Gradually add dry ingredients & beat until well blended. Shape dough into 1-2 inch balls and place on ungreased cookie sheet. Press thumb into center and put in a cherry. Cover top of cherry with more dough. Bake 10-12 minutes and let cool completely. In a small saucepan, combine chocolate and sweetened condensed milk. Stir in 4 tsp. of reserved cherry juice. Once the cookies come out of the oven, spoon about 1/2-1 tsp over each cherry. These are very yummy! They just take time consuming to make. Below you will read the details but with this post I'm picking the winner from the first 100 entries! Remember for every 50 entries into this link up, I pick a winner. The winner from the first 1-50 comments was picked. Today I'm picking the winner from the 1-100 entries. Today's winner will get a $25 Hodgson Mill Gift Certificate to the online store! 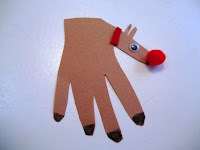 That random winner is entry is # 19 Budget Saving Mom with the reindeer hand craft! Egg Nog- egg free and tasty!